Chennai Police today registered an FIR against Dravida Munnetra Kazhagam (DMK) working president MK Stalin for staging protest at Marina Beach without proper permission. The case was registered a day after Stalin and his MLAs held protest at Marina Beach against the way voting on Palaniswami’s confidence motion was conducted in Tamil Nadu Assembly. Opposition parties including DMK asked for secret ballot to decide the trust vote but the Speaker rejected their demand. Stalin and other DMK MLAs were detained by police for protesting without permission at Marina Beach. However, they were released later on. An FIR was registered against Dravida Munnetra Kazhagam (DMK) working president M.K. Stalin on Sunday. Stalin also wrote a letter to the state governor C Vidyasagar Rao urging his intervention in the matter after Edappadi K. Palaniswami won the trust vote. Tamil Nadu Chief Minister Edappadi K. Palaniswami won the trust vote in state Assembly after an unprecedented ruckus in the House with the DMK legislators throwing chairs and smashing microphones in the House. 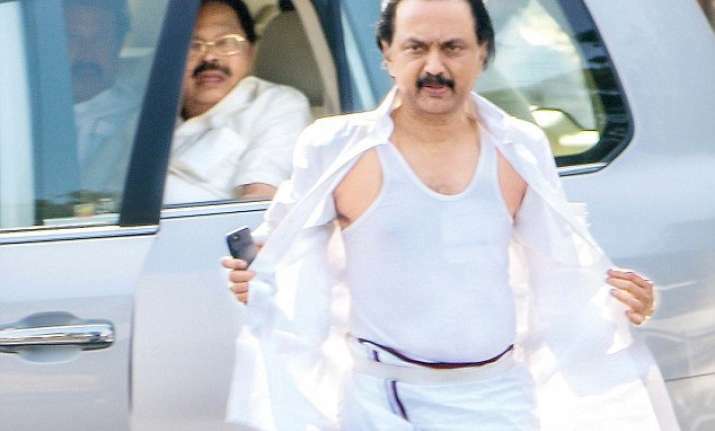 The Speaker P Dhanapal and DMK Working President MK Stalin displayed their torn clothes and accused their political opponents of indulging in physical violence in the House. The Speaker had to order eviction of DMK MLAs from the House. The Congress MLAs also staged a walkout in protest against the Speaker’s refusal to use the secret ballot. In the absence of DMK and Congress MLAs, 122 AIADMK legislators supported Palaniswamy’s confidence motion while 11 members, owing allegiance to O Pannerselvam, voted against it.